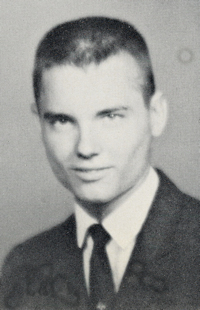 Obituary – Highfill, James Lee « Perry High School Alumni Association, Inc.
James Lee Highfill passed away on March 28, 2008. He was born on the Air Force Base in Altus, OK, on January 19, 1944, the son of Lowell and Mildred Highfill. After the War, the family moved to Perry, OK where he graduated high school. He attended Oklahoma State University. After becoming a husband and father, he was accepted into the Oklahoma City Police Academy. 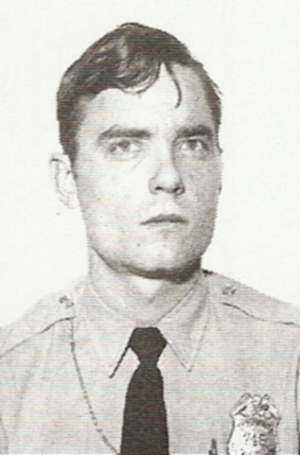 He served with distinction for 28 years in the department, where he was loved and respected by all who served with him. In his retirement, he enjoyed visits from his grandchildren and the company of a closely knit group of friends either on the golf course or around a card table. He will be remembered as a kind, loving, completely unselfish man who will be dearly missed by the many who loved him. He is survived by his mother, Mildred; and sister, Kathleen; his children, Steven, Kimberly, and Sandra; three grandsons, Mitchell, Tucker, and Mason. He was preceded in death by his father, Lowell; and brother, Kenneth. Services will be held on Wed., April 2nd, at 2pm, at Ford Funeral Service, 305 S. Sooner Road, Midwest City.